Last week, I published the first part of a lengthy interview with environmental philanthropist Kristine McDivitt Tompkins, wife and partner of Doug Tompkins, about Chile’s proposed new Parque Nacional Patagonia, conducted during my visit to Estancia Valle Chacabuco earlier this year. Today I’m publishing part two, which starts with a couple questions about Parque Nacional Corcovado, near the town of Chaitén. We also touched briefly upon the Esteros del Iberá, the wildlife-rich subtropical wetlands in Argentina’s northwestern province of Corrientes. WBB: I don’t know much about Corcovado (pictured above). Are there any facilities open to the public? 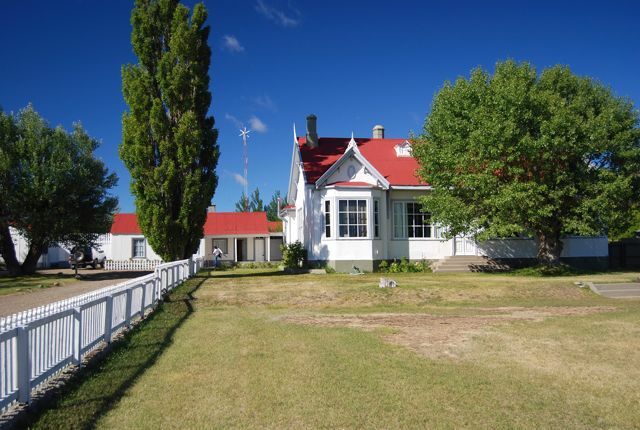 WBB: With regard to [Estancia Valle Chacabuco, pictured above], I’ve been looking at the style – it’s very different from the traditional sheep estancia. 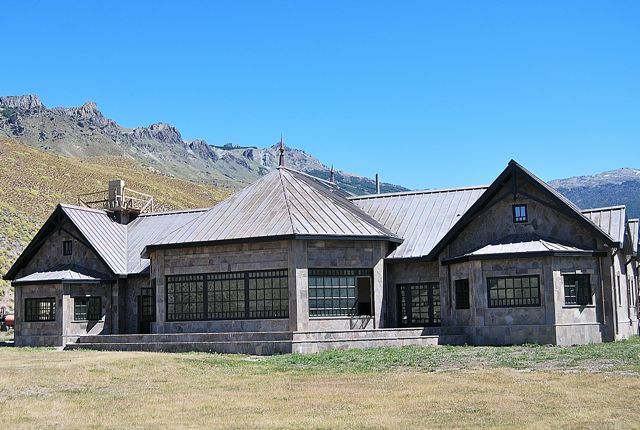 KMT: This came about, we have a series of photographs we’ve been taking for years of classic and beautiful houses we found in Argentine Patagonia, and when we started here because we have all this rock, which comes out of the valley, this is what we decided to use here. 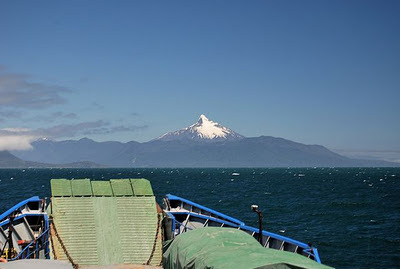 It’s emblematic of the Patagonian, not the Chilean necessarily, because the English weren’t here. WBB: Actually, the English were a little farther north. Lucas Bridges was here. KMT: Yes, he was here, his house is up on the border. WBB: Are you going to preserve any of the existing buildings? KMT: Well, his house is preserved as an historical monument. It’s on the Entrada Baker, as you go across Paso Roballos [toward Argentina] up there. WBB: I did not know that. Is it visible? WBB: What about any of the existing buildings here? KMT: No. These were not really classic estancia buildings. I mean, we’ve painted them, we’ve fixed them up. It was an army barracks here. WBB: I look at things like, say, the wool shed, which is something that is sort of typical in both Argentina and Chile. KMT: No, people will see that up on the border, where we have an historical site, but not down here. WBB: But you will have something about its legacy as a sheep farm? KMT: There will be an information center here. WBB: Who were the original owners of this property? KMT: It was leased to some people, but there was no kind of title on the land until…I think the De Smets were granted the first actual titles, not to the current outline. 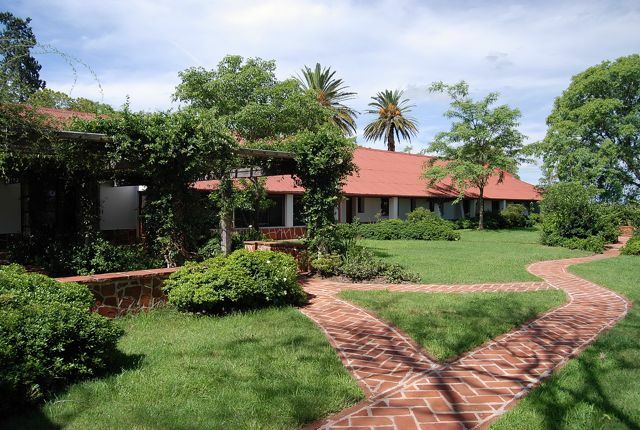 The reason that Reserva Nacional Tamango exists is that the De Smets family had to cede that out of the ranch to get titles. I don’t pretend to be the storyteller on this one, but it was very complex getting the titles to this property for that family. WBB: How long were the De Smets here, do you know? KMT: Well, they came down from Chile Chico, that’s where all the Belgians landed. His father, I’m going to say 45 or 50 years ago, but that was not the whole ranch, that was their presence here. WBB: So not that long ago? KMT: Well, for one family, down here, pretty far from everything, that’s quite a bit actually. Lucas Bridges was here long before the De Smets, there were people ranching here before the De Smets came. Anywhere there was grass, people were ranching. There weren’t many fences in those days. There were shepherds and sheep all over the place, that’s why the place is so beat up. WBB: Have all the fences been removed now? Is work still proceeding? KMT: No, that’s going to be a long job. We’ve gotten most of the easy ones. We probably 200 miles left to go, probably more, maybe 250. WBB: That’s one of the big volunteer jobs? How many volunteers do you have coming down here? KMT: Well, this year we cut it back. We have about a hundred. We had over 500 people. WBB: What are the terms that they come on? KMT: You have to stay a minimum of three weeks, pay US$15 per day for food, you have to get yourself to the crossroads down below [on the Carretera Austral], and then we pick you up and drop you off. Some people stay three weeks, some people stay two months, some people stay six months. It depends on what their personal plans are. WBB: So it sounds, given all the land you have, that it’s a selective process? KMT: We’re running two different sorts of programs. There’s sort of an internship where you are actually coming here for a specific job. Like the guys here in the lodge, they came to work in the lodge, so you’re more selective with them because you’re looking for certain types of experience and skills. But the bulk of the volunteers is more physical labor; we have a pretty extensive volunteer site on our website and people go in there. WBB: How many people are here at any given time, then? KMT: About a hundred. It depends how many construction guys are here. Right now we’re starting the new information center and museum and so, once they get that cracked open the number will go up significantly. WBB: One of the new buildings I saw going up across the creek here, what’s that? KMT: That’s all housing for employees, they’re apartments. WBB: That would be permanent full-time staff? Presumably there would also be seasonal employees? Are those mostly foreigners? KMT: Yes, for people who will be here after it’s a national park. Everybody is Chilean. Everybody. The only foreigners are Doug, myself, Nadine [Lehner, Conservación Patagónica’s publicist], the guys in San Francisco [CP’s US office], that’s it. Obviously there are foreign volunteers, but in terms of employees our policy is everybody is Chilean or everybody is Argentine. We have one exception in Argentina, at Iberá, Ignacio Jiménez is a Spaniard and he’s one of the top wildlife guys around. WBB: For what it’s worth, this is an opinion of my own, but I’ve been to Iberá at least half a dozen times and it always astonishes me. It’s such an extraordinary place and I’m always telling people that if you really want to see something interesting in that part of the country, skip Iguazú and go to Iberá. I think it’s so much more interesting. KMT: I don’t know, I’m pretty addicted to those falls but I agree, you see the falls and then you go to Iberá immediately. WBB: Iguazú is an impressive sight, but I don’t like what they’ve done with it, it’s become Disneyfied and just overrun with people. Iberá gets not even one percent of the visits that Iguazú gets. It’s become a mass experience, Iberá is so much more intimate. KMT: Have you been to Rincón del Socorro [pictured above]? WBB: Yes, I have, it almost sounds like stalking, but I was there last year about the time your plane landed, just shortly after. I coincidentally happened to be coming through and spoke with Leslie Cook, whom I’ve known for quite a few years. I’ve visited the place before, though I’ve never stayed there. I had come from Iguazú, just when it started raining and the road turned to crap. KMT: Yes, it’s quite bad, sounds familiar. WBB: Do you have anything else you want to tell me? 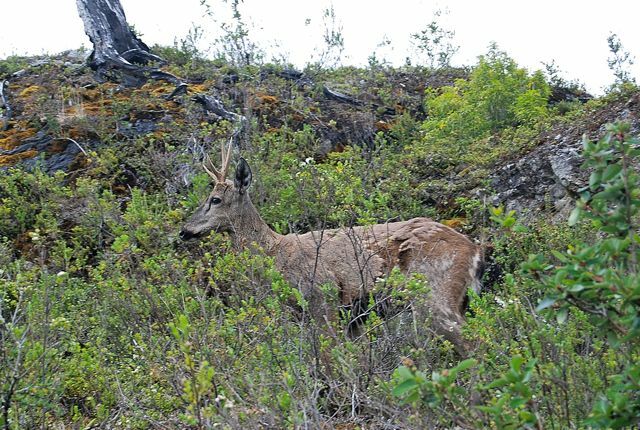 KMT: I think it’s important that people know that one of the reasons we’re here is we have between Tamango and this property a little over or under 10 percent of the remaining huemul [Andean deer, pictured below] population. We’re working very hard, along with Conaf, to try to see these numbers go up. We’re doing a lot of support of studies that are going on here, to find out what the threats are. 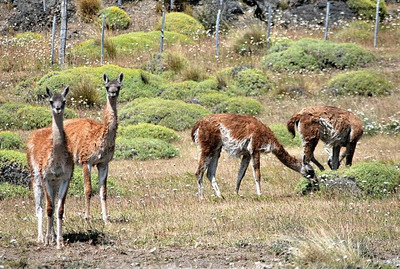 This area has all its species intact, another reason that it’s a real conservation priority, and also it has every kind of ecosystem found in the Patagonian Southern Cone in one place. WBB: What are the threats to the huemul in this area? KMT: Primarily, livestock everywhere, loss of habitat. Hunting and poaching, dogs coming up from Cochrane that are feral and don’t get fed down there, so they’re hunting. That’s a big problem here in this population, probably the most critical. So it’s the same thing everywhere, and the thing is there are only an estimated 1,500 of them left. WBB: In the country? In this area? KMT: No, everywhere. That’s the world population, both the Argentine and Chilean sides. This is one of the largest grassland restoration projects in the world today. WBB: We’re right on the edge between the forest and the steppe. KMT: That’s what I mean when I say all the Patagonian ecotones that exist from rock and ice down to arid, though this is mostly semi-arid. You don’t see the kind of landscape that you see out on the coast, you don’t see those severe arid areas like you find around Monte León, but everything else is here. The water systems here are pure, there are no trout in this lake system and river system other than the Chacabuco, and the upper lakes have not been stocked with trout. 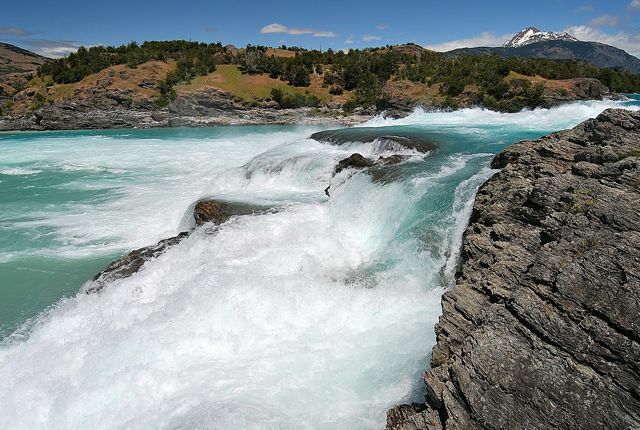 So you have a pure water system, and it’s a significant system, especially considering the Patagonian region, there are lakes, streams, lagoons, and wetlands, it’s very unusual. That’s why Conaf and Conama have wanted to put this into conservation for decades, but they never could. So there are a lot of reasons why we’re here. WBB: So the huemul is the signature species for this area, but are there any others? 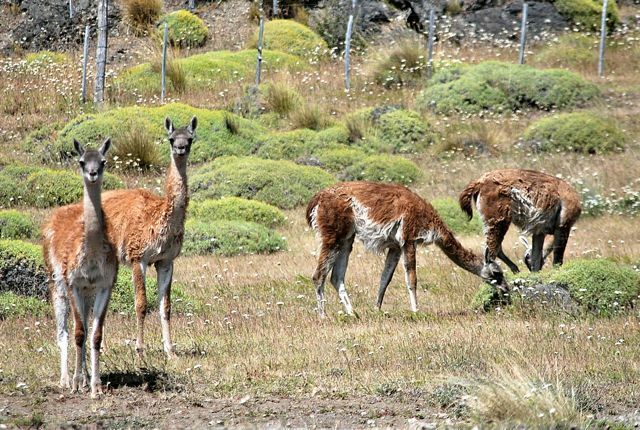 KMT: Well, guanacos of course, but they’re abundant. The mountain vizcacha is also red-listed, and we have populations of them all around here. WBB: I haven’t seen vizcachas here, are these the same as in the Norte Grande or are they a different subspecies? KMT: I can’t answer that. But they’re not the same as the ones in Iberá. Author’s note: Related to the chinchilla, the mountain vizcacha to which Kris refers is the same species as occurs farther north, in Bolivia and Peru as well as Argentina, but it is not on the IUCN Red List of threatened species. In Argentina, there are two endangered species of vizcacha rats, a totally different rodent, with very limited ranges. 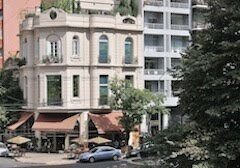 Return of the "Mercado Paralelo"
Buenos Aires Subte Subsidies to End?